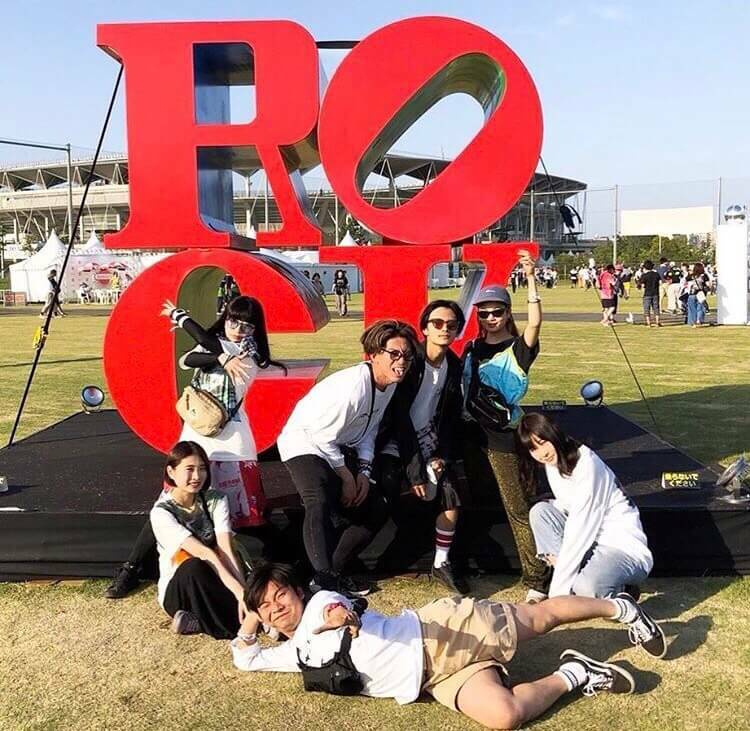 In our previous article, we considered the appeal of FUJI ROCK FESTIVAL in the run up to this year’s event and looked over our past coverage of it. 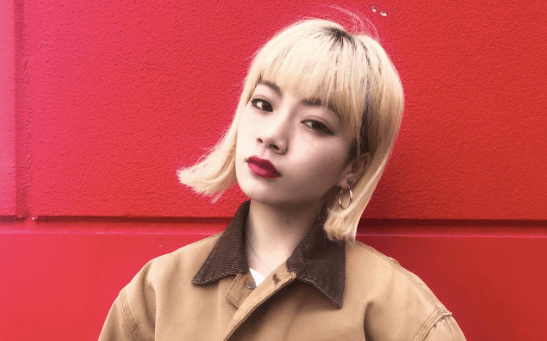 In this article we interviewed Yuna Yabe, a model and DJ who made her real festival debut last year and who is a festival fanatic. We asked her what attracts young girls to festivals, her personal experiences attending them, and her advice to those who have never been to a festival but are thinking about going. Yuna Yabe has appeared in magazines, events and even music videos as a model, making full use of her unique fashion sense. Her love for music has taken her on the path of being a DJ. The moment she began her DJ career, she performed at EDJ JAPAN 2018. —You love music and are often perceived as someone who has been attending festivals for a long time, but I heard you actually started going only last year. Yes, last year’s ITADAKI Festival was my first proper experience at a festival. Up to then I never had much interest in them and had never thought about going, but ITADAKI is in my hometown of Shizuoka and there were a lot of artists playing that I like. I thought wow, Shizuoka is going for it, so I decided to attend. EBIS BEATS and Tavito Nanao were the best! —So, how was it actually going and experiencing one? I was able to see so many of my favourite artists in one day, it was amazing! There was one on every hour, so I felt it was one of the fullest days of my life! I was guaranteed a front row spot for my favourite artists. I went all out, had the best time ever and came to be completely crazy about festivals. One of the reasons I had never gone to one before was because I perceived them as being like a continuous riotous party, but I was glad to find out it was chill and open. —Are there any memories or incidents from the festival that have stuck with you? It wasn’t an incident per se, but I met a lot of acquaintances by chance. That’s one of the most fun things about a festival! Although it was a local festival I bumped into people I know from Tokyo. That moment when you see them and say “Huh!? Why are you here! ?” is so much fun. —If you were to choose the best act or performance you’ve seen so far which would it be? I can’t pick just one! But Tavito Nanao of GREEN ROOM this year and Sakanaction at ROCK IN JAPAN FES last year are unforgettable. —You’ve already been to several festivals this year, correct? And you also performed at EDC. What festivals do you plan to go to or want to go to next, and which artists do you want to see? I’ve been to JAPAN JAM BEACH, GREEN ROOM and KAMIKANE3000 this year. The ones I’m planning to go to are FUJI ROCK and Summer Sonic. I want to go to RINGO FES at the start of summer too. I definitely want to see Kendrick Lamar at FUJI ROCK and Jorja Smith at Summer Sonic! —You performed at EDC JAPAN very early in your DJ career. That’s an incredible achievement, congratulations! How was it performing there? I thought to myself all I can do is practice. There’s a studio in front of EDC so I practiced there! The set was going to be a continuous hour with no changeovers, so I wondered to myself whether the real performance would turn out alright. My hands were sweating and I was very anxious, but the moment it started everybody put their hands up and danced. It was so much fun! In my set I moved from track to track while DJing, and I saw a lot of foreigners on board the entire time, so that made me extremely happy. Before I knew it I was having a lot of fun too, and the hour went by in an instant. It was my first time as a DJ experiencing the thrill of so many people listening to your favourite songs. I felt that if I get even better and play more boldly it’ll be the best thing ever! —How’s your enthusiasm for this year’s festivals? I’m having fun knocking them down one by one! —I’d now like to ask if you have any advice for people your age who are interested in attending a festival but have never gone before, or who want to try it out. What kind of preparation do you need in terms of fashion or things to take? For fashion, I see a lot of people coordinating flashy colours, like reds and yellows. A lot of people wear baggy clothing too because it’s easier to move around. I take a cap and sunglasses to protect myself from the sun. Sunglasses make you look pretty in photos too (laughs). Most people wear their hair up. Also, a towel is a must! I’m short, so I recommend sandals with thick soles if you’re short too, since you want to be able to see the stage properly! You’ll also be walking around a lot and spend long hours there, so it’s important to wear something that your feet are used to and won’t get tired in! —Are there any mistakes you’ve made at festivals? I came down with heatstroke by only drinking alcohol despite it being so hot! It’s very important to drink water so you don’t get heatstroke. —Is there any other advice you have for festival beginners or tips on how they can have fun? Be weary of going to the toilet when travelling! Make an effort to know where the toilets are. You’ll be in very long lines, so don’t go the second you need it. Go well in advance and find windows of opportunity to go. Going in advance is very important! Also, it’s good not to meet up with a lot of friends or move around in big groups. I recommend moving around on your own or with just a few people. Seeing artists I didn’t know or unexpected artists is great. Encounters like that are fun. —Finally, what’s the appeal of festivals for you? There are many, but if I was to sum it up in a word, it would be the sense of openness! It’s like taking off your shell. Everybody there is a lover of music and you can feel their excitement, so there’s a sense of unity too which can be enjoyed! 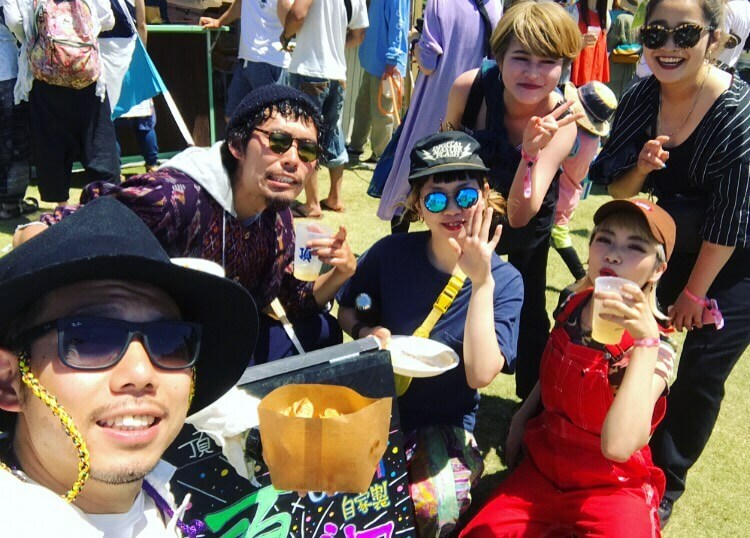 Be sure to reference Yuna Yabe’s advice and go and enjoy Japanese pop culture at a festival!